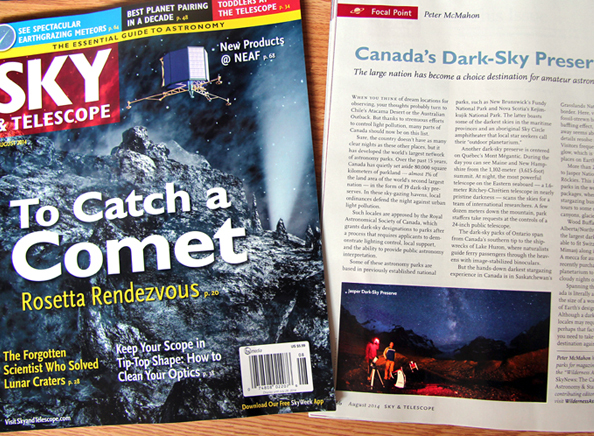 Most of the actual trip took place in one month-long chunk in May of 2013, in which I traveled to New Brunswick and Nova Scotia for a book tour in which my kids book Space Tourism (Kids Can Press, 2011) was nominated for an award. The following week, I set out to chronicle Nova Scotia’s Kejimkujik National Park and dark sky preserve with the help of park staff and friend/colleague/dark sky guru and RASC Journal editor Dave Chapman. At the end of my time in ‘Keji’, I was joined by my wife Kristina (and our two miniature schnauzers Winston & Frankie Jenkins) as we set out to tour New Brunswick with the mobile planetarium I co-manage in Ontario and to explore the province’s four dark sky parks: Fundy, Mount Carleton, Kouchibouguac, and Irving Nature Park. 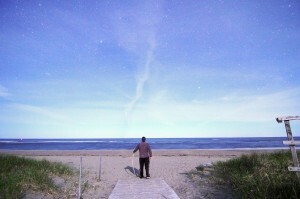 A few months later, I set out again for the East, travelling to Quebec’s Mont-Mégantic. 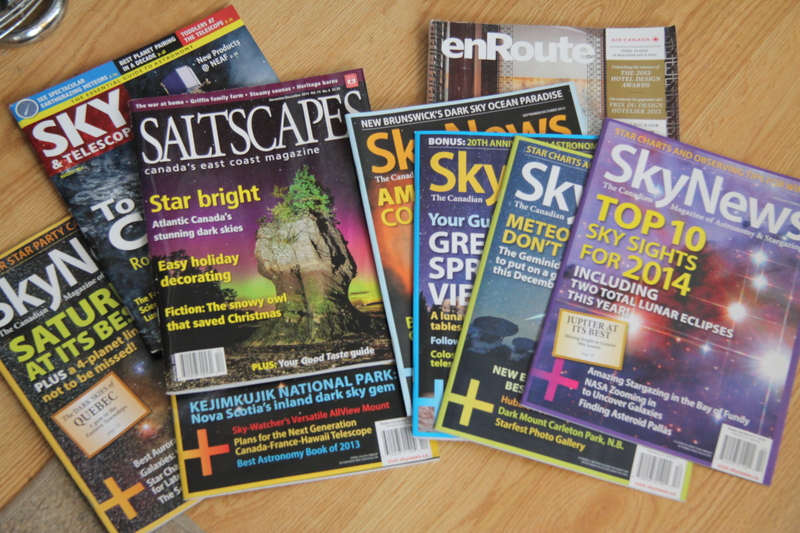 While the trips only spanned a month in total, between May & August 2013, the nature of magazine publishing meant that my columns on these places would roll-out (interspersed with columns of mine from other locales for variety) over several years. 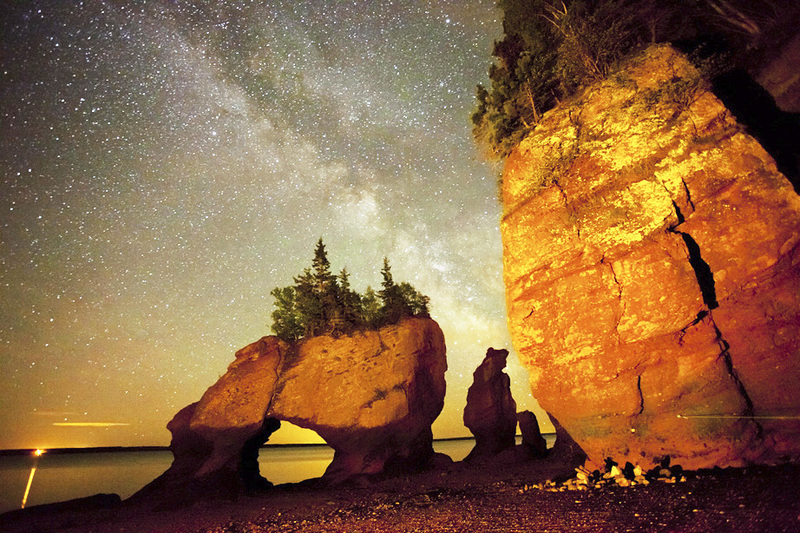 Now, with Quebec, Nova Scotia, and the final edition of my four New Brunswick columns in print (in the case of the latter, my column on New Brunswick’s Irving Nature Park in the March/April 2015 issue of SkyNews), this journey to shine a light on these oasis’ of darkness is complete. 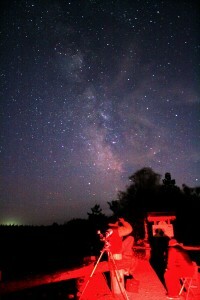 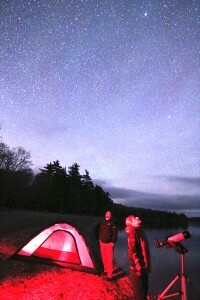 This tour proved to be so incredible, I ended up pitching stories on these dark sky preserves to other publications. 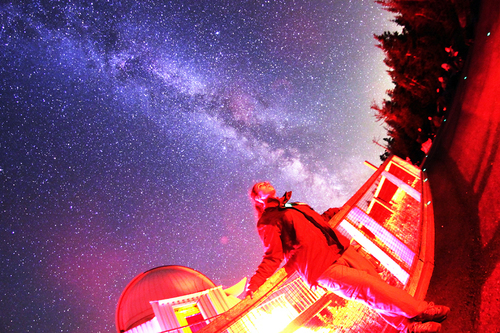 To date, stories on one or more of these dark sky parks have graced the pages (and – in some cases – the cover) of such magazines as Air Canada’s enRoute, Frommer’s travel, the multi-award-winning east coast lifestyle magazine Saltscapes, and the U.S. astronomy magazine Sky & Telescope. In addition to writing about these places, I was also able to record much about their beauty in photos. 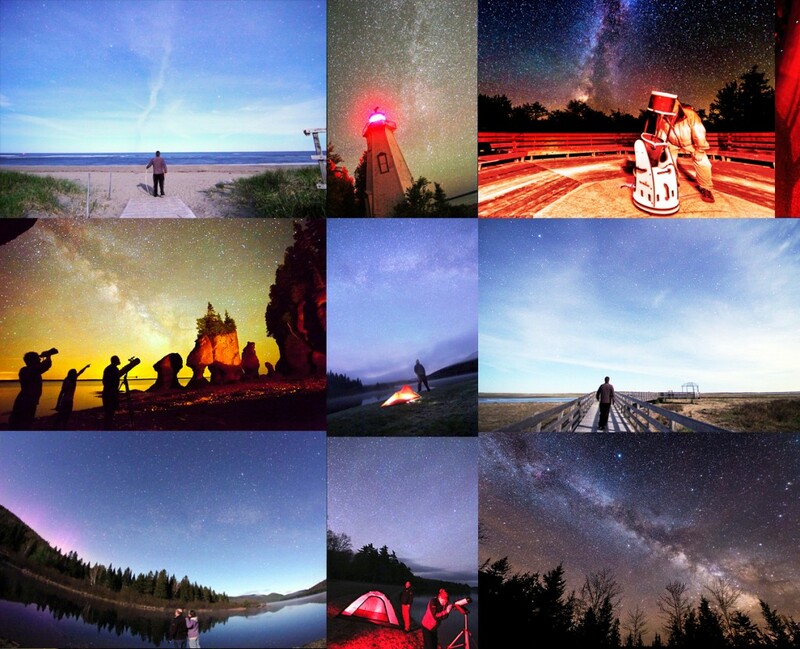 Sometimes, through – due to uncooperative weather, or just lack of artistic ability at the time – I relied on local photographers, astrophotographers, or astrophotographers in the making to chronicle these places in pictures. Such was the case with St John area RASC member Paul Owen (for Irving Nature Park), Chris Green (for his stunning images of Keji in Nova Scotia), and Hopewell Rocks head interpreter and pro photographer Kevin Snair, whose nighttime images and video of the Hopewell Rocks in the Bay of Fundy have given a new view of this iconic Canadian landscape. 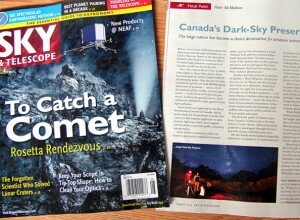 In addition to Dave, as well as Adrien Bordage, Curt Nason and others from RASC New Brunswick and countless Parks Canada staff, I could not have done this coverage without Tourism New Brunswick, Nova Scotia Tourism Agency, and Destination Québec/Tourisme Québec, who generously furnished travel and accommodation for these trips. Thanks especially to Alison Aiton on the New Brunswick end of things, Pam Wamback from Nova Scotia Tourism Agency, and Gillian Hall from Destination Québec/Tourisme Québec.